At least, that’s what I’d always assumed. A formal meditation of this kind is certainly useful, but it’s possible to meditate anywhere, and without a moment to spare. This allows you to relax, calm your mind, or manage your mood in the midst of the activity, busyness and stresses of daily life. You can even use these techniques to meditate in busy, crowded and noisy places. If you integrate mini-meditations like these into your day you’ll probably find yourself meditating a lot more. You won’t have to carve out twenty minutes or get up before dawn. And over time, meditation will become a natural part of your life, a habit. You’ll also be able to use meditation where you most need it — out in the world. a song on the radio. These regular shifts into ‘sensory mode’ anchor you in the present. They also give your brain a chance to rest. You’ll find you feel more relaxed and more appreciative. And you’ll probably find yourself able to process your thoughts and emotions more efficiently. Aim to do a spot-meditation — even if it’s only for 10 or 15 seconds — every hour. Work to make these mini-meditations habits that you can rely on. e.g. When you see a car like the one you drive, use that as a reminder to relax your shoulders, breathe more deeply or to check in with what you’re thinking and feeling. Remember that some practices are more useful than others. Choose the ones that work for you. These mini-meditations — because they are so short — probably won’t leave you feeling profoundly relaxed. They can work very well, however, to bring you back to balance, whenever you feel anxious or stressed, or whenever your thoughts spiral out of control. Learn more about spot-meditations and how to use them on our online course. 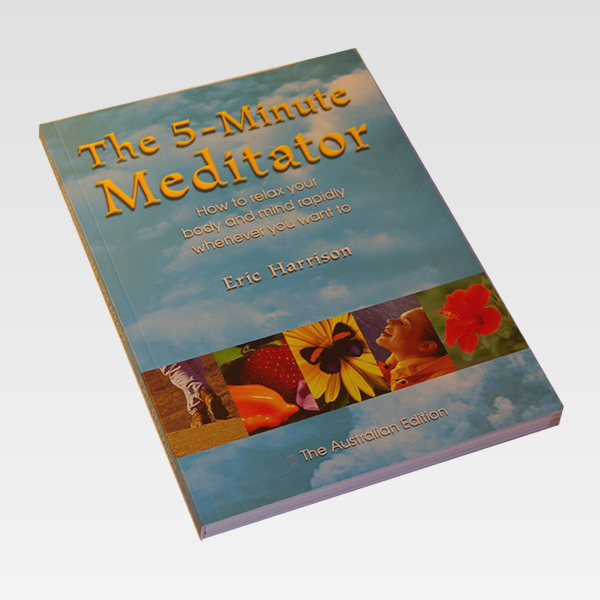 For dozens of other short meditations you can use in almost any situation imaginable, grab a copy of The 5-Minute Meditator.